Investigators believe the man’s death was a homicide but have released scant few details. WATERVILLE — Police have talked to some residents who may have information about the death of Aurele Fecteau, but they are releasing few details four days after the 92-year-old man was found dead in his Brooklyn Avenue home. 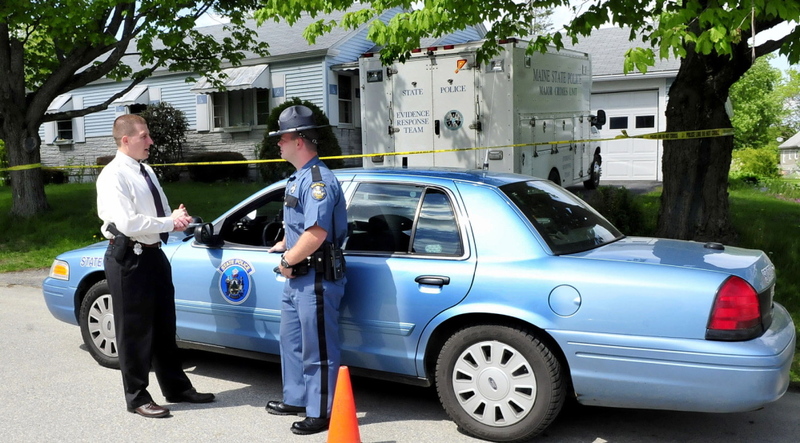 Maine State Police ruled the death a homicide on Sunday night after receiving the results of the autopsy from the Office of Chief Medical Examiner. Police said some people have come forward with information, but Maine Department of Public Safety spokesman Stephen McCausland would not divulge any specifics. McCausland also wouldn’t say what in Fecteau’s autopsy led police to determine that his death was the result of a homicide. Detectives completed gathering evidence at the home on Sunday, according to McCausland. The home has been returned to Fecteau’s family. Evidence gathered at the scene was being analyzed Tuesday at the Maine State Police Crime Lab. Fecteau, who had lived on the property for decades, was found dead by a family member on Friday. Waterville police responded to the scene late Friday morning. City police called in state police for assistance based on what they saw in the home. After a weekend of heavy police presence and activity in the neighborhood, residents say things have returned to normal. Classes were back in session after the Memorial Day holiday at Waterville High School, just down the road from Fecteau’s house at 33 Brooklyn Ave.
Noel, who works nights as a customer service representative for T-Mobile, said she hadn’t noticed anything strange over the last week. Over the weekend, as the police presence became constant, Noel said asked them if her family was still safe. Fecteau lived alone in the house, although neighbors said his children visited often. He and his wife, Jeanne, who died in 2009, had seven children – five boys and two girls. Noel said she didn’t know Fecteau, other than for an occasional neighborly wave. She said he was active and outside often. State police ask that anyone who may have been in the area of Brooklyn Avenue and Vose Street and saw anything out of the ordinary to call 624-7076.